Nous avons toujours fourni à nos clients un service exceptionnel. Il est toujours judicieux de rechercher des sources objectives comme le Better Business Bureau (BBB), où vous pouvez rechercher des entreprises accréditées et obtenir des rapports sur les entreprises négligentes. Bekins est très fier du classement « A plus » que nous avons attribué à BBB. Ces témoignages sont des critiques émouvantes de clients Bekins Moving and Storage ayant répondu à notre sondage post-déménagement (*la plupart des témoignages sont en anglais). We were very impressed with the thoughtfulness and care everything was packed,will recommend to all friends to use your company. Morgan and the boys did great! Hello! I was not there but my husband said Tony and his crew were fantastic. Pro-active, polite and a pleasure to work with! We have used Bekins the last few moves over 10 years and they have never disappointed us. Many thanks again for their professionalism. I thought your staff were extremely patient and helpful. I would definitely use your company again if I were to move. Thank you! were also hard working and took the time to move things twice when needed. A big Thankyou !! Found my moving fellows to be excellent…..
they were a delight to have I have no complaints whatsoever. problems in a timely manner. The best move I have ever had. Friendly, cheerful workers and excellent and speedy service. so kind and went beyond the call of duty to make what could be a very stressful day. Thank you all. and I would highly recommend them to anyone seeking a serous full house or business move. were careful. Also very very organized and courteous. Stress-free move. Nothing damaged, and everything on time. anyone who is considering moving. First class people. heartfelt THANKS to the team. quite a bit of weight. Tony, Tyrone & Phillip were all extra careful with my heavy furniture. their professionalism, their good attitudes, and friendliness. recommended to me and I will most definitely recommend Bekins to anyone I know that will be moving. Very professional staff. The packing was very secure to avoid damaging belongings and furniture. Thank you. Crew was great. This was the second time I have used Bekins, and I was very happy both times. wood and they were careful handling it to protect both the furniture, floors, and walls. knew what they were doing. I would recommend to anyone. Everything was completed in a very professional manner and the cost was less than quoted. Very happy! and kind. Will use this crew again! for our Delivery from Storage late September, we are requesting the SAME TEAM. I have used bekins before for a move and storage – would always recommend them. My move team of Benny Lynch and then move day; Tony, Tyrone, Luke, Philip were ama I got. They were efficient and careful. There was Not One concern on move day. I would like to request the same team on my move in from storage to my home. it without a problem. The rest seemed easy after that! Thanks to everyone involved. in perfect condition, I would highly recommend Bekins to anyone! A big thank you to Sam and his crew. The 4 people that came for the move where excellent. Great attitude & sense of humor. we chose a firm that has been around for a long time & still doing a great job. The crew who packed and loaded in Burnaby did an excellent job. They arrived right on time and were very conscientious and thoughtful. and I would highly recommend Bekins to one and all!!! took great care of our possessions. Would highly recommend Bekins to anyone contemplating a move. that our complicated move would be successful and it was. their way to help. Highly recommended ! would do it, and at the price we agreed upon. the crews. They worked very hard. The crew we had to unload was the same we had loading the truck and they were excellent. Everything arrived in good condition. The move has not been completed yet. Hopefully everything will be completed to the same level experienced so far. Thanks. The mover was right on time, very friendly, extreme efficient,fast and helpful. made the move much easier for us. of the staff They were careful with our stuff. 10,10!! The crew was on time, very helpful, Polite and responsible for loading all the furnishings. or relatives in the future. Tyrone was exceptionally a good mover! Phil, Mike and Sheldon were great and I have already recommended to new customers. decluttering stage with a move from Vancouver to Nelson in the summer. So far, we are very pleased. The move was very smooth. Dave Mike and Travis were professional and took our move very seriously. hours for the move in and they were on time and made it happen. We were very happy with their work. We would be happy to recommend Bekins to others in the future. who are considering moving and or storage. A thank you to Brian who was on the ball with scheduling. « Tony and his crew were very efficient, friendly and handled our goods with care. my concerns. The measure of a company is often how they deal with customers. Thomas and Richard who made this my least stressful move ever. fast and went beyond the call of duty to make my move stress free. « We were very pleased with the friendlyness and very professional way the move was done. arrival. Lots of extra help and pleasant manners by all. Will suggest them to other friends and relatives. « The crew each day was great – all with wonderful attitudes. « The crew that delivered and placed the items in my new home were highly professional. items and lift extra large items up stairs for placement. Each of the crew worked tirelessly and took two very short breaks. all very efficient and took less than the estimated times. politeness, and above all, skill and professionalism. « The crew of Philip, Tony and Richard did a terrific job moving all my things. 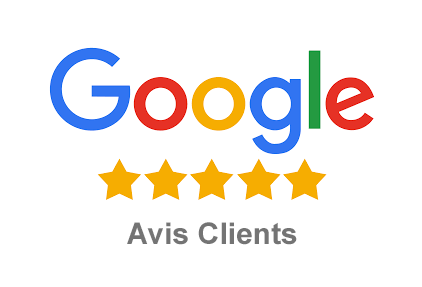 They were courteous,friendly and very efficient.They all did an excellent job. « I was very happy with Bekins. Thank you for the excellent service. « Very impressed with your company so far. The big shipment will be inn Sept.
« Excellent crew. Introduced themselves on arrival. Worked quickly and carefully. move to our new home in August. The guys were great and very professional. « The van operator/crew are professional and friendly. They work really hard to get everything done. crews were professional, prompt, wasted no time, communicated with me throughout the process. « We had 2 glitches in our moving dates (on our end)& very short notice. Benny Lynch handled this so well & I was very impressed. « Just want to send you a note to say thank you for looking after our Bekins move. « Very satisfied with all expectations of the move. and perspired on a very hot and muggy day. Will give your card to someone that is moving to Duncan. that helped us last Friday, and would recommend Bekins to anyone. They took so much care of our belongings, and could not have done a better job. « I just wanted to tell you that my move from Vancouver to Edmonton was flawless. « Thank You!! Phil, Mark, Lui & Mike for a seamless move!! You all were more than helpful & set my mind at ease. « We would like to tell you how impressed we were with Matt and James re our move this weekend. They were personable, very professional, fast and did I mention strong?! « Troy, Matt and Jamie were courteous, professional and on time. They moved everything in quickly and neatly. « They exceeded my expectations! The whole crew were great – very efficient and respectful toward my belongings. « Tom and Louie were amazing. Top Notch all the way! hard working and efficient and didn’t break, scuff or scratch a single thing. I have and will recommend Bekins without hesitation. « We would like to thank your team that moved us! They were fantastic hard workers!! actual mover was very efficient and easy to get along with….a super guy. « I was fortunate to have Steve on my move out as well as in. and « my crew » of movers which I was lucky to have for both moves were great! Polite and easy going and very efficient! The movers were very pleasant, efficient, and had a great sense of humor. extremely helpful in answering my questions, and were very kind and patient. I would certainly use these movers again. « Just wanted to update you on our move with your company. Everyone showed up on time. They all worked hard and fast. « Excellent service, very impressed! Our movers were an excellent group! « Always pleased. Excellent service. Polite and careful movers. « Tom, Stevie, Alan & Lui are excellent. They are a great team to work with. « Tony and his crew were outstanding and extremely professional! at Bekins that made my move such an easy affair. we were very impressed,and all arrived in excellent condition. « Hi Michelle – well done! Your team (Stevie, Al & Rob) were great! to load it all up. who worked very hard under extenuating circumstances.